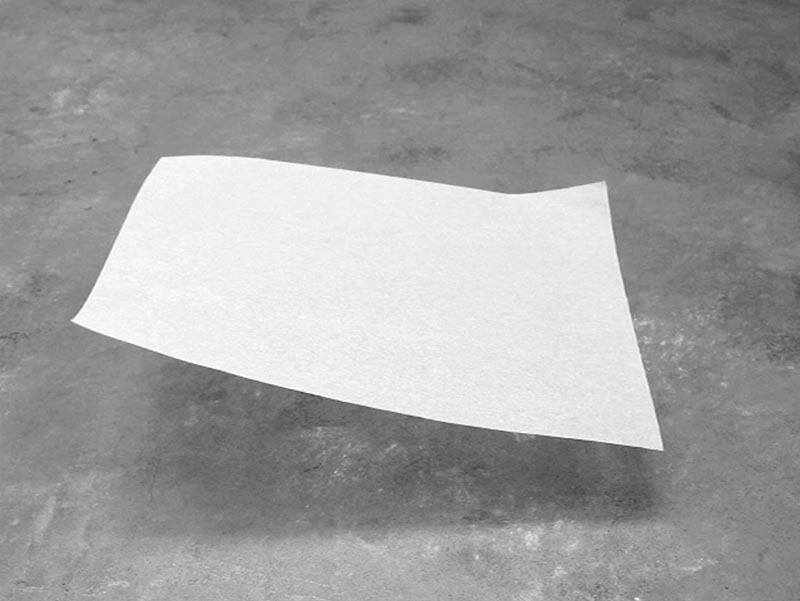 The paper is fluctuating in the air without ever floating away or falling to the ground. At the same time as the state of our heart that I keep fluctuating slowly uncertainly and but is shown. As in Buddhism, all things are connected "engi". The paper is shaken by the wind, and we can see the wind because of the paper. "Form is exactly emptiness. Emptiness is exactly form"